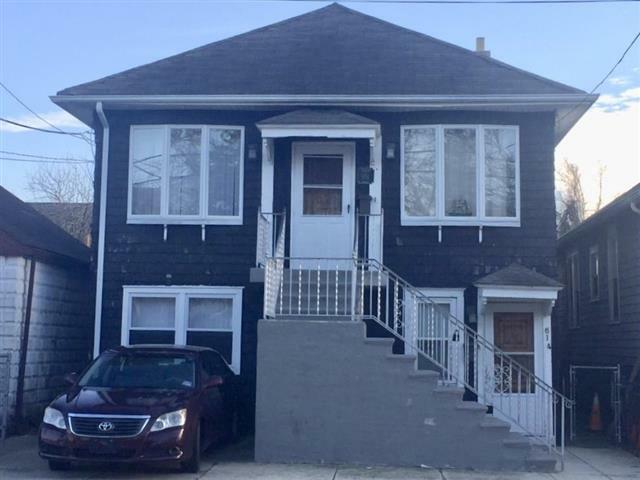 CLOSE TO SNUG HARBOR AND GARDENER'S BASIN, this 2 story home offers an updated lower level 2 BR apt that includes a front entrance area, dining room, eat-in kitchen, LR, 2 BR's and a bath. Access to the basement is through this apt also. IT has been vacant for a while, therefore there is no actual rental information available. There are separate meters for each apt. The 2nd floor is owner occupied and offers a front foyer, spacious LR and forma dining room, an eat-in kitchen, plus 3 BR's, a full bath and storage. Home is being sold AS IS, with the buyer responsible for all inspections and certifications. Offers off street parking, too! Preliminary information from the City does state it is a legal duplex and may be rented as such. Check it out. The numbers will work.